What’s Driving Digital Transformation Across Organizations? 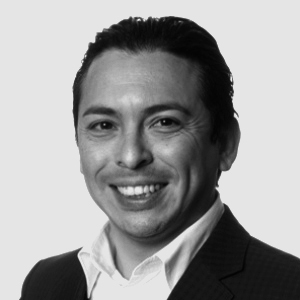 Building on his 2014 research of digital transformation, principal analyst Brian Solis studied how companies are changing, and the challenges and opportunities they face while undergoing a digital transformation. Based on insights and data from more than 500 digital strategists and executives, the report found that companies are still facing significant challenges to operating in a digital economy. 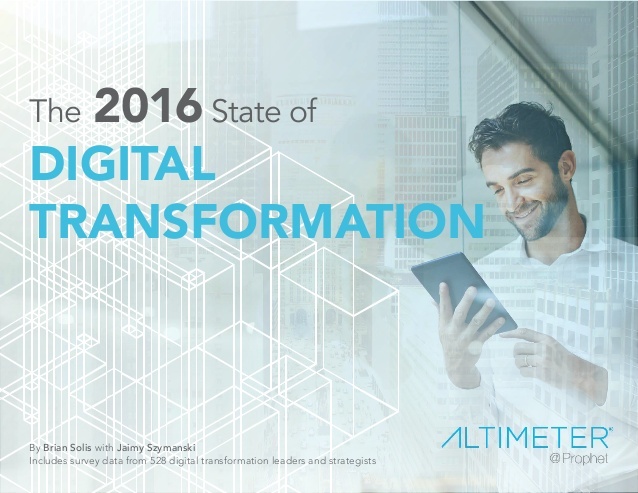 The report, "The 2016 State of Digital Transformation,” shares the latest facts and figures on the top drivers, challenges and best practices of companies that are undergoing a digital transformation. In our research we identified key insights and trends impacting companies going through a digital transformation. To help companies navigate the digital transformation journey, Altimeter and Prophet have developed a diagnostic that assesses a company’s digital maturity. The tool provides an objective look at the current digital state vs. ideal future state while identifying major perceived gaps and opportunities that can be pursued as part of the digital transformation journey. Contact us today to learn more.